Presenter and Producer Chris Roe is one of the journalists to exit SKY News in the recent staff retrenchments. Last week SKY made 6 people redundant in both journalism and administration. Roe was with SKY for 9 years presenting such shows as Weekend News and Sportsnight, including anchoring solo for 12 hours straight through the night of the Black Saturday bushfires. 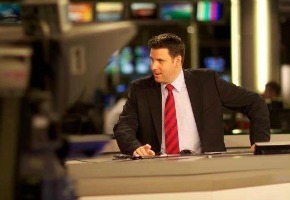 “After more than 9 years on air at Sky News I’m looking forward to the next adventure!” he told TV Tonight. “I’m grateful for the opportunities I’ve had, I’m proud of the work I’ve done and I feel privileged to have worked alongside many of the best and brightest in Australian television.